" And whosoever of you is present, let him fast the month, and whosoever of you is sick or on a journey, a number of other days. Allah desires for you ease; He desires not hardship for you; and that you should complete the period, and that you should magnify Allah for having guided you, and that perhaps you may be thankful. " Assalamo alaikum wa rehmatullah e wa barakatuhu! 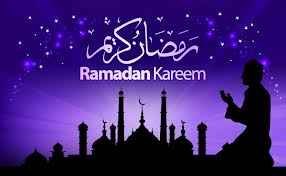 In my personal name and also on behalf of KMFAP Government and of the Dames and Knights of the Federation of all Faiths, Religions, Beliefs and Creeds, our most sincere respects for the meaning of this period of spiritual purity and the Ramadan Greetings from all to our Knights and Dames of Moslem Faith .
" It is unlawful for a believer to kill another believer, accidents excepted. ( … ) He that kills a believer by design shall burn in Hell for ever. He shall incur the wrath of God, who will lay His curse on him and prepare for him a mighty scourge. " May Allah, the Almighty, be with you and your beloved ones, may His "sawabs" be many and may He bring upon all Peace, Prosperity, Love and Tolerance.